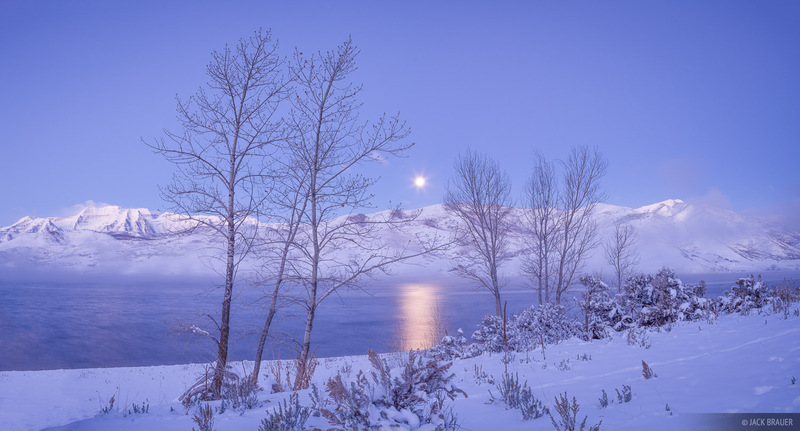 Moonset over Deer Creek Reservoir on a snowy Utah winter morning in December. Mount Timpanogos is at the left. Photo © copyright by Jack Brauer.